Washington (CNN) Seated at the head of his Situation Room conference table, President Donald Trump was adamant: American troops must come home from Syria. He had just announced as much to a crowd in Ohio. The assembled military and national security advisers told him the move was rash and unwise. So he gave them six months. Eight months later, planning for the withdrawal is now underway — against the advice of those same officials, who warned in April that Russia and Iran would gain stronger footholds in Syria when the US presence there evaporates. On Capitol Hill, even some of Trump’s GOP allies were warning of a grave mistake. “My sense is that it’s been a shock through the administration that this was made,” Senate Foreign Relations chairman Bob Corker told reporters on Wednesday after returning from the White House, where he had traveled to meet with Trump but was told as he waited the meeting was canceled. Hurried discussions continued Wednesday about the timing and pace of the troop withdrawal, which the White House said has already begun. The announcement lacked the formality of previous presidents’ declarations they would remove troops from war zones: the White House did not schedule any presidential remarks nor provide any concrete details of the decision. In conversations over the past several days, top presidential advisers have counseled Trump that withdrawing personnel from Syria would amount to a retreat from the region and allow adversarial nations to gain influence. 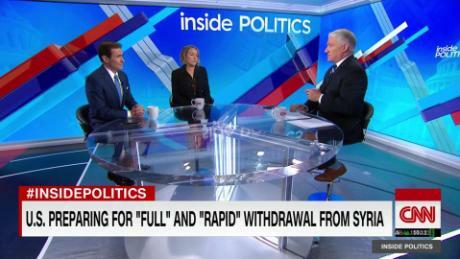 Those cautioning against a rapid and immediate withdrawal included Defense Secretary James Mattis, Secretary of State Mike Pompeo and national security adviser John Bolton, according to people familiar with the discussions. Trump did alert one key ally two days ahead of the announcement: Israeli Prime Minister Benjamin Netanyahu. In a phone call with Trump on Monday, and a subsequent conversation with Pompeo on Tuesday, the US leaders assured him the Americans had “other ways of expressing their influence in the area,” according to a statement from Netanyahu’s office. In a closed-door lunch with Senate Republicans, lawmakers gave Vice President Mike Pence an “earful” about the decision, according to Corker. Speaking afterward, Corker said he felt badly for the vice president, who was acting as an emissary to angry lawmakers. Trump’s top ally in the Senate, Sen. Lindsay Graham, was firmer. Pence addressed the issue by saying Trump “made a commitment to get out of foreign entanglements,” Graham said. But the vice president himself ignored reporters’ questions on the matter, instead staring ahead blankly as he departed. It was an astonishing level of pushback from Republicans who, time and again, have avoided overt criticism of their party’s leader. 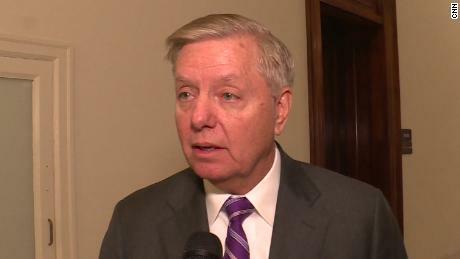 It reflected deep unease among national security experts and advisers about the decision to abruptly withdraw troops from Syria without consulting members of Congress or gathering consensus among the administration’s national security team. An administration official briefing reporters on Wednesday insisted anyone caught off guard by the decision hasn’t been paying attention. But the official did not dispute that some of the President’s top advisers were opposed to the withdrawal. Still, the decision only highlighted discrepancies among administration officials over the future of the roughly 2,000 troops deployed in the country. Gen. Joseph Dunford, the chairman of the Joint Chiefs of Staff, said this month that the US needed to train thousands of local fighters to ensure a lasting defeat of the terror group. 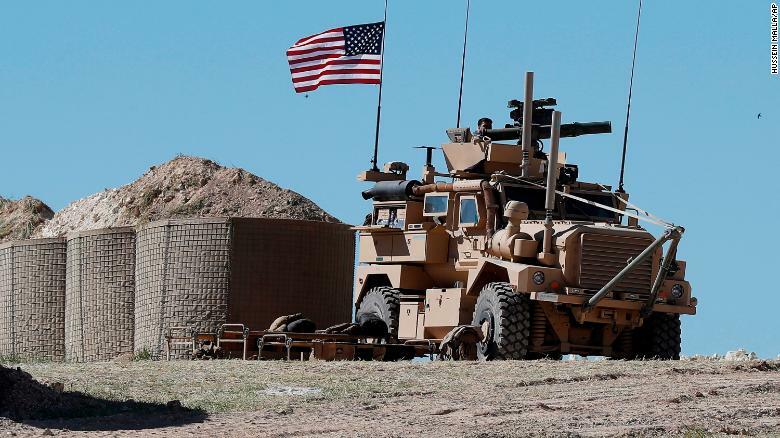 Only last week, the US special envoy to the anti-ISIS coalition Brett McGurk said US forces would remain in Syria even after the terror group was defeated. “I think it’s fair to say Americans will remain on the ground after the physical defeat of the caliphate, until we have the pieces in place to ensure that that defeat is enduring,” he said on December 11. And in September, Bolton told reporters on the margins of the United Nations General Assembly that US troops would remain in Syria to counter Iran. “We’re not going to leave as long as Iranian troops are outside Iranian borders and that includes Iranian proxies and militias,” Bolton said. Pressed about whether Bolton’s comments were still applicable, the senior administration official suggested previous statements no longer applied. “The issue here is that the President has made a decision, and so previous statements … he gets to do that, that’s his prerogative,” said the official, briefing reporters during a call organized by the White House. The official could not provide a timeline for the withdrawal of US troops nor say whether the US would continue to carry out airstrikes in Syria, instead referring questions to the Pentagon. “It’s not information I have,” the official said. If administration officials and Trump’s allies in Congress were distressed by the decision, however, there was little excuse for them to be surprised. Trump has long railed against foreign entanglements begun by his predecessors and vowed this spring to bring American troops home. “We’ll be coming out of Syria, like, very soon,” he said in April, comments that prompted a hurried effort at the Pentagon and in the National Security Council to convince the President that an immediate withdrawal could throw the region into chaos. When military brass sought to dissuade him, he grew frustrated and complained at length about the amount of American money being spent in the region, which he said had produced nothing for the US in return, according to senior administration officials. Despite his annoyance, Trump eventually agreed to hold off on immediately pulling troops from the war-plagued nation, even after airing his displeasure with top national security officials. At one stage, Dunford asked the President to state explicitly what he wanted to see happen in Syria, according to an administration official. The President responded by saying US troops need to finish their mission against ISIS in Syria within six months, a timeline military officials — including Mattis — warned would be too short, according to the administration official. Trump responded by telling his team to just get it done. One person familiar with the meeting said attendees left “beside themselves” about how a hasty withdrawal and cutting of funds for recovery projects like restoring water and power and rebuilding roads could affect the future of Syria, and make it more likely that ISIS could return to prominence. Derek Chollet, a former US assistant secretary of defense in the Obama administration, said much of Washington, including administration officials, lawmakers and Iran hawks have been the victims of “wishful thinking” when it comes to Trump. Advocates of a traditional hawkish GOP foreign policy have been “rationalizing that Donald Trump was going to ratchet up the pressure on Syria,” said Chollet, now an executive vice president at the German Marshall Fund, when Trump has long said he would pull out of the country, which has been ravaged by a civil war that started in 2011. CNN’s Jeremy Diamond, Nicole Gaouette, Manu Raju, Ted Barrett and Elise Labott contributed to this report.